Another week, another 20 Android apps vying for attention on the top paid and free charts. All the usual suspects are present and accounted for—19 games that have been poking about the rankings for weeks, months and even years. There's only one fresh face here, though technically it's been rotting for ages. 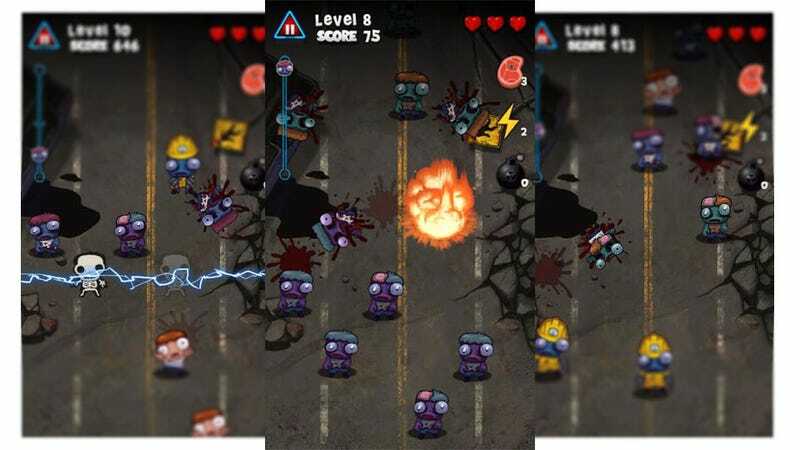 Zombie Smasher is the game, and it's making a splash by bringing mobile gamers back to basics. You have a touch screen, touch these things. It's like bubble wrap, only the bubbles move, and some of them you don't want to pop. And there are power-ups. And when you pop the bubbles they are filled with rotting flesh. So yeah, just like bubble wrap.